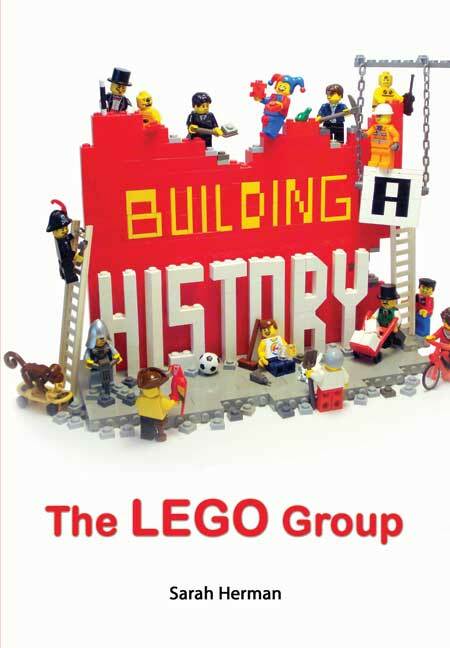 You'll be £25.00 closer to your next £10.00 credit when you purchase Building a History: The Lego Group. What's this? Toy of the Year; Toy of the Century; Greatest Toy of All Time... there aren't many titles that haven't been bestowed on LEGO toys, and it's not hard to see why. From its inception in the early 1930s right up until today the LEGO Group's history is as colourful as the toys it makes. Few other playthings share the LEGO brand's creative spirit, educative benefits, resilience, quality and universal appeal. bricks, play themes and other building systems such as DUPLO, Technic and MINDSTORMS are chronicled in detail, alongside the manufacturing process, LEGOLAND parks, licensed toys and computer games. Learn all about how LEGO pulled itself out of an economic crisis and embraced technology to make building blocks relevant to 21st-Century children and discover the vibrant fan community of kids and adults whose conventions, websites and artwork keep the LEGO spirit alive. As nostalgic as it is contemporary Building a History will have you reminiscing about old Classic Space sets, rummaging through the attic for forgotten minifigure friends and playing with whatever LEGO bricks you can get your hands on (even if it means sharing with your kids). Witty and well-researched, quite simply, this will appeal to anyone who loves Lego. Building a History: The LEGO Group is filled with more facts, figures and stories concerning the little blocks of plastic than bricks it takes to build a 1987 Monorail Transport System. Great images, too. Learn all about how LEGO pulled itself out of an economic crisis and embraced technology to make building blocks relevant to 21st- Century children and discover the vibrant fan community of kids and adults whose conventions, websites and artwork keep the LEGO spirit alive. …charts the success of the model maker from its humble origins in the 1930’s as a wooden toy to the global brand we have today. There are also plenty of colour photographs so you can reminisce about much-loved sets, such as the London bus, and see earlier designs you may have never come across before. What’s more, the book includes handy tips on making particular LEGO shapes, including vehicles and buildings, along with up-to-date information on modern LEGO developments, such as videogames and licensed products based on numerous films, such as batman, Star Wars and plenty more. Probably the closest thing to a ‘complete’ telling to the story of LEGO as you can get, Building a History covers the company’s life from it’s humble beginnings in a Dutch carpenter’s workshop to the global empire it is today. Enjoyable illustrated history of lego from its earlydays in yo’yos and other wooden toys, to the stories behind its more recent creations, world record attempts and that James May house.